As part of the F-Series, the F-350 officially came into existence in the 1953-1956 second generation F-Series (1st generation was the F-3). 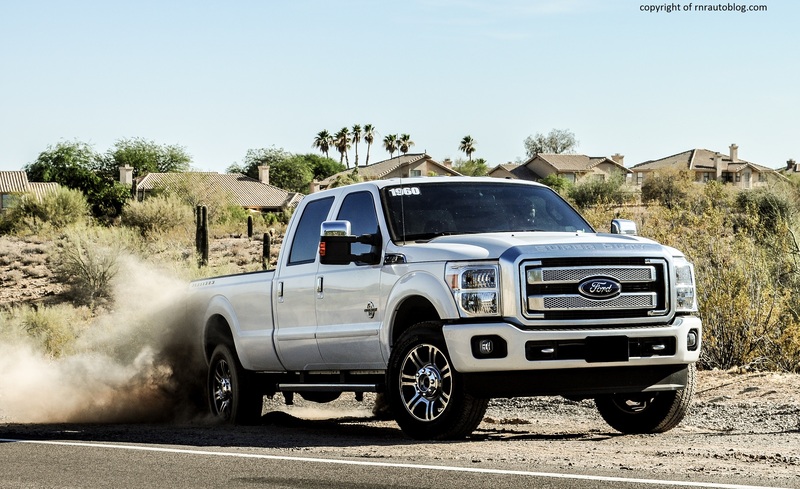 It was not till the tenth generation of the F-Series that the Super Duty trucks were introduced. 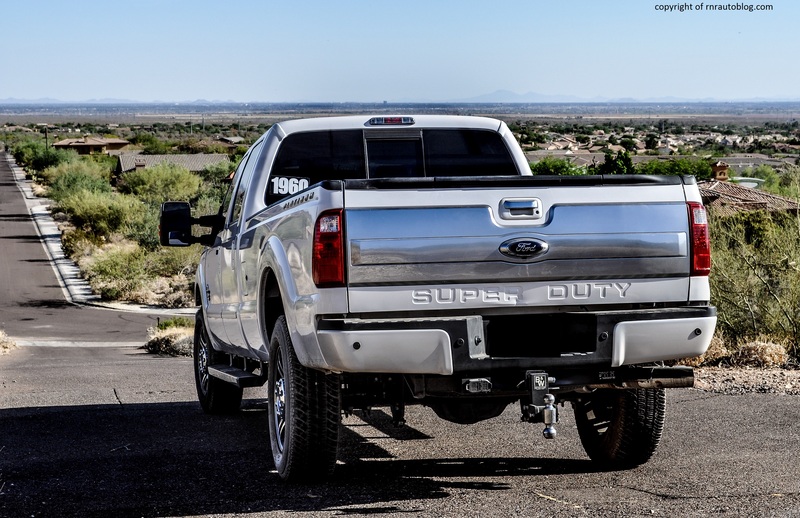 Before the Super Duty, anything other than a F-150 had a “heavy load” version which came with heavy duty mechanicals and axles. 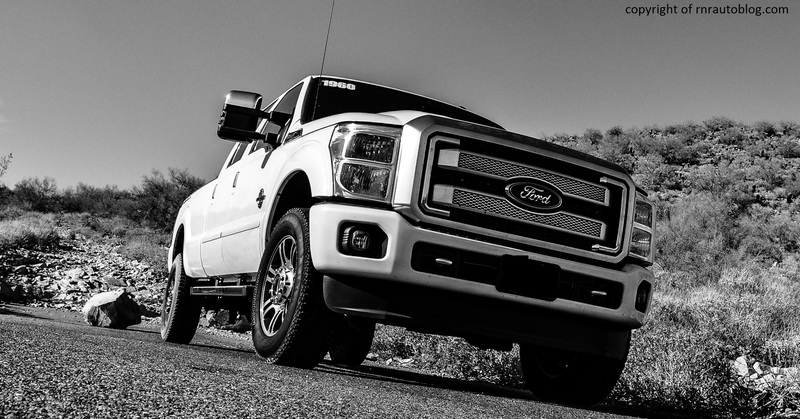 In 1999, the Super Duty trucks were created as to differentiate the F-150 from the larger trucks. 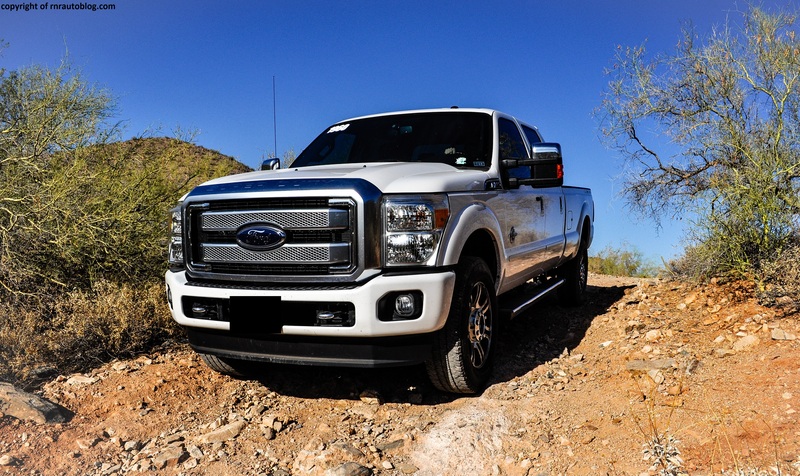 From this point on, the F-150 and the Super Duty trucks were separate models while still being part of the F-Series. As of 2014, that remains true. The first thing I noticed was the gigantic chrome grille with Super Duty branded on top. The front fascia is completely dominated by the grille and two large headlights. 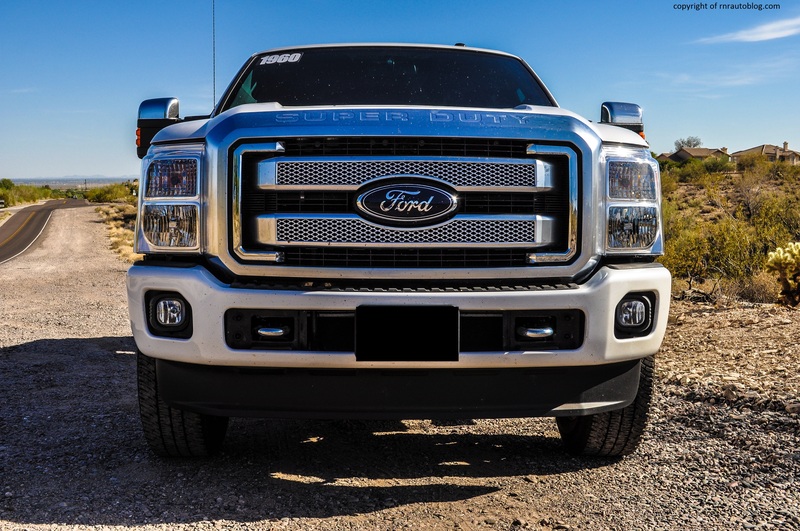 While it is too bold for me, it is a Super Duty design trait. 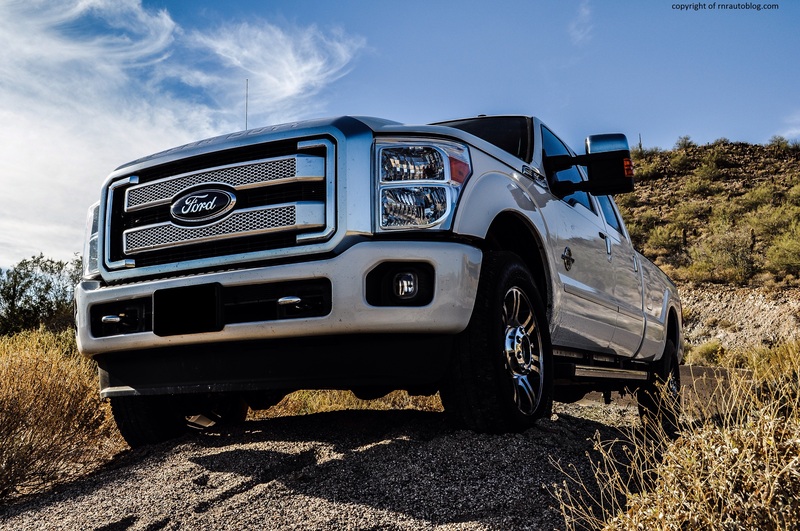 When you look at the side view, the F-350 appears to be just like any other truck. But then you look at how long the bed is. 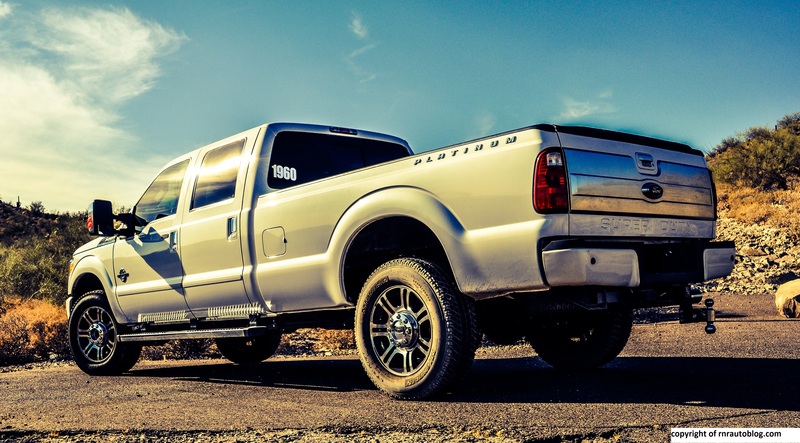 The high ground clearance and chunky tires reinforce the F-350’s brutish appearance. 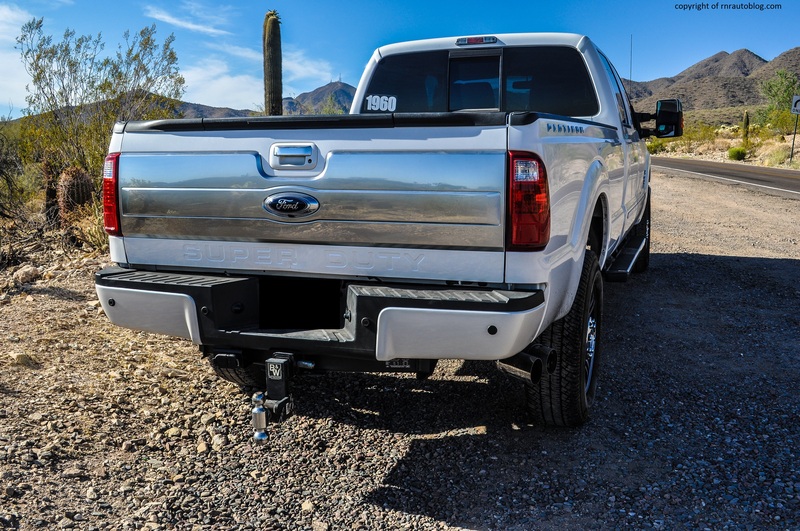 At the rear, a chrome bar runs from one taillight to another. While there is no doubt it was added to give off a feel of luxury, I can’t help but wonder if it is necessary. The interior looks like it belongs in a luxury SUV rather than a pickup truck with tasteful wood trim and brushed metal surfaces. 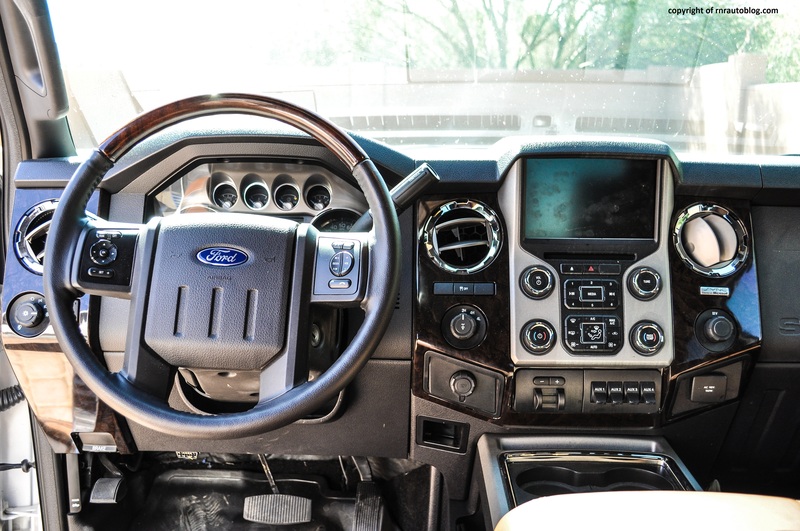 Saying that this F-350 handles like a truck is an understatement. In normal driving, the steering is light and somewhat quick enough, and it handles adequately. I had the courage to explore the F-350’s handling limits. When you push it, it understeers massively, and the steering becomes slow and vague. The lack of feedback means it is hard to judge where the front wheels are at, and that is a big problem in a truck as big as this. 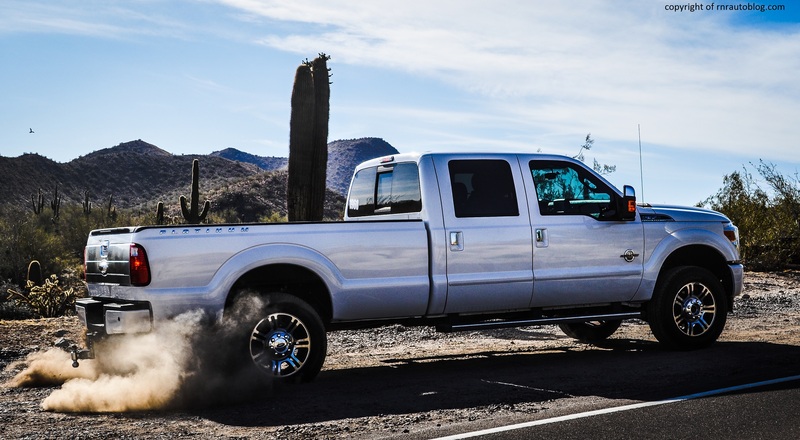 Turn suddenly before a corner, and the tires howl, and the F-350’s behavior becomes floppy and unsettled. Body lean is surprisingly less than what I expected, but it is not happy in corners. But then again, for a truck this huge, this was to be expected. 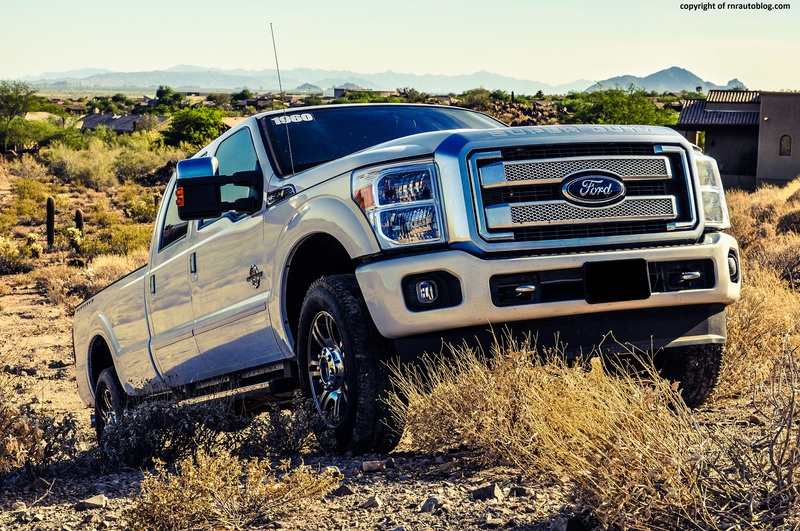 On rocky trails, the F-350 proved to be untouchable thanks to its high ground clearance, 4×4 system, and decent wheel articulation. Ride quality is decent, and on the highway, it is serene. However, the slightly stiff suspension gets jostled easily when going over harsh bumps. But for the most part, it is compliant enough. I am told that a full load would soften the ride quality. 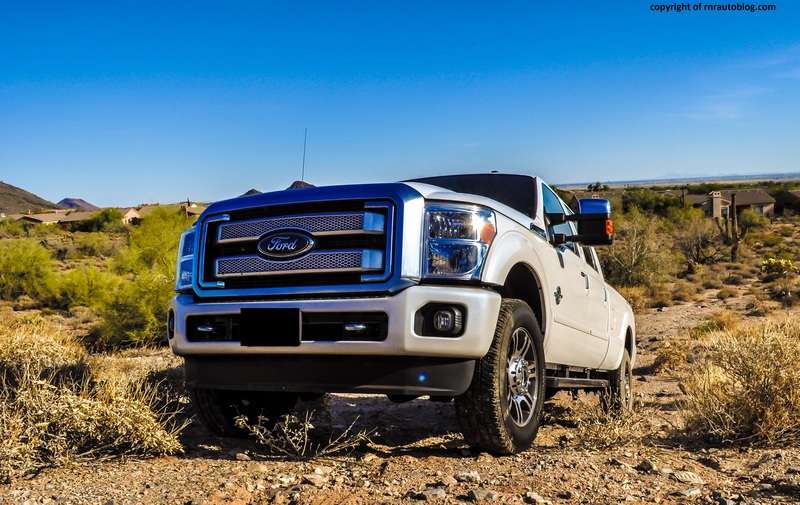 This F-350 is propelled by Ford’s “PowerStroke” 6.7 liter V8 turbocharged diesel. As the size suggests, it is packing a lot of horsepower. With 400 horsepower and 800 lbs of torque, there is abundant power in reserve, and it never feels like it is taxed, even with a full load or going up a hill. 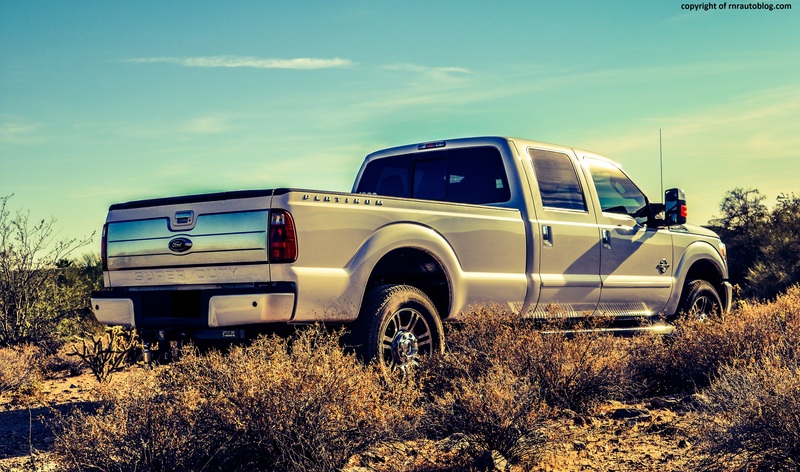 Despite its heavy size, the Ford feels powerful but the diesel is at its best at low revs. Just depress the gas pedal with little effort, and the speed will climb quickly. Its enormous torque and lack of turbo lag make this an ideal engine for cruising. The six speed automatic transmission shifts smoothly. 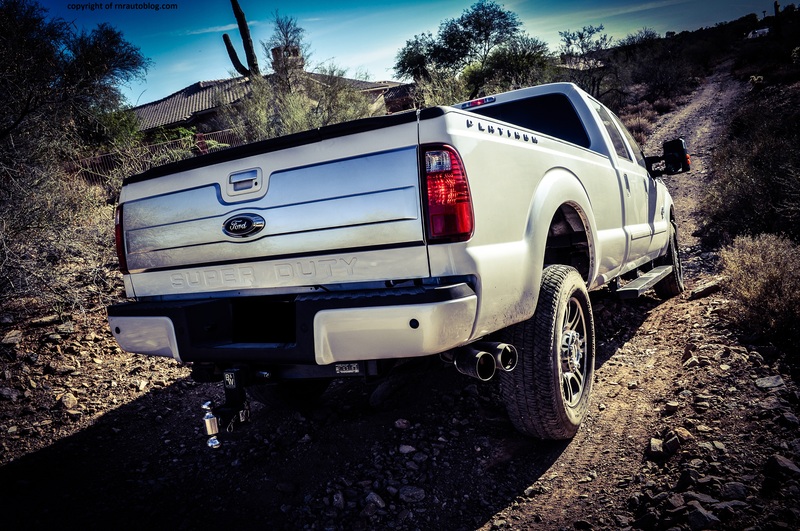 Its 800 lbs of torque can be accessed from a low 1,500 rpm, so pickup power is instantaneous. Refinement is mostly sound. While not as noisy as old diesels, there is still some clatter at idle, and it sounds gruff when pressed. 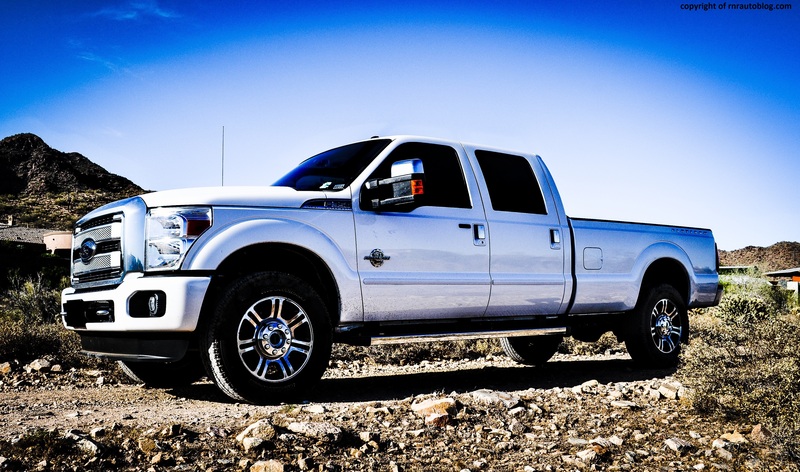 Large size tires usually exacerbate road noise, but the F-350 does not have that much road noise. However, there is a lot of whooshes from the wind present. Seeing how this is the top of the line Platinum version, apart from some misaligned panels, fit and finish is top notch. As soon as you get in the front seat, you immediately notice how high off the ground you are. While that may be great for most people, it poses some problems. Visibility is decent in normal driving, but for parking, it’s problematic. It is literally impossible to see anything over the hood, and it is the same story with the long bed. Speaking of the bed, there were two options: a 6 3/4′ or a 8′ bed. The 8′ bed is a very useful size, and its load carrying potential is huge. The tailgate includes a handy step ladder. 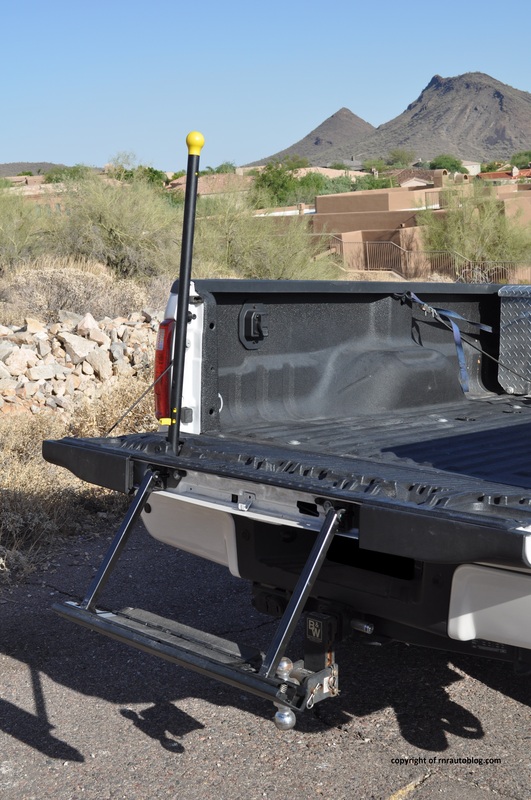 Put the tailgate down, pull out the metal stick, and bring it down. It also feels very sturdy, and it is easy to use. The controls are easy enough, but I wish some of the buttons were bigger. The controls cluster is also a long reach from the driver. The interface divides the screen into four sections which squishes them all in together, and they can be hard to read from a glance. The Sync system works well, and pairing your phone is easy. There is capacious room in the cab. In the front, there is more than enough headroom and legroom to suit most people. The leather seats are exceptionally comfortable, and it is easy to find a decent driving position. As with the front, the rear is roomy and the seats comfortable, but I wish there was some way you could adjust the seatback. Cabin storage is plentiful, and there is always a spot for you to store items. 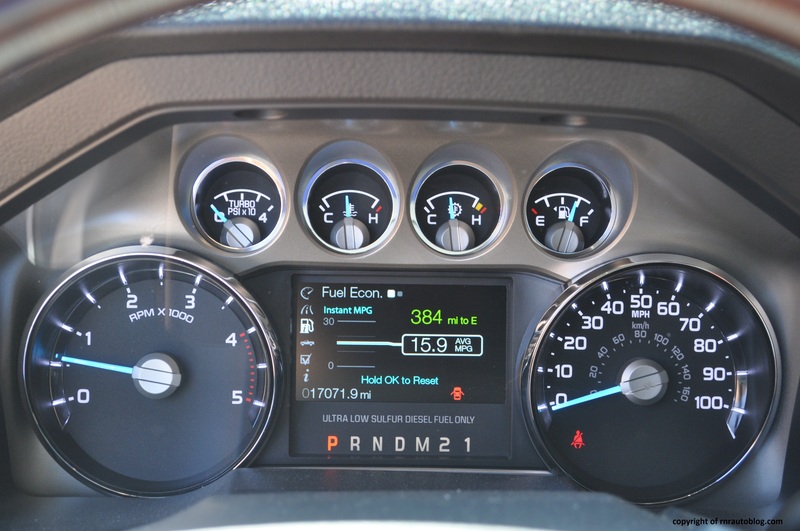 The gauges are logically laid out, and the LEDs on the speedometer and tachometer are a cool touch. 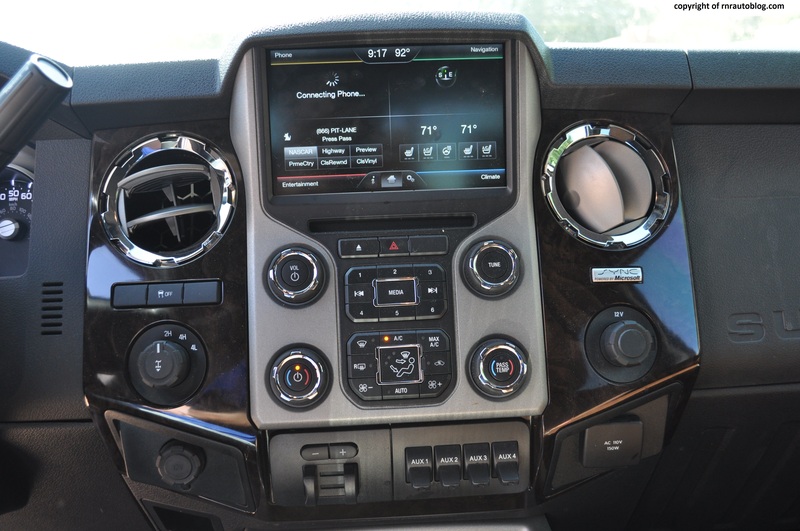 Normally, I would have not agreed to review a truck like this. Much to the chagrin of most Americans, I don’t see the point of a pickup truck for anything other than the countryside or commercial businesses or understand why a pickup truck is America’s best selling vehicle. 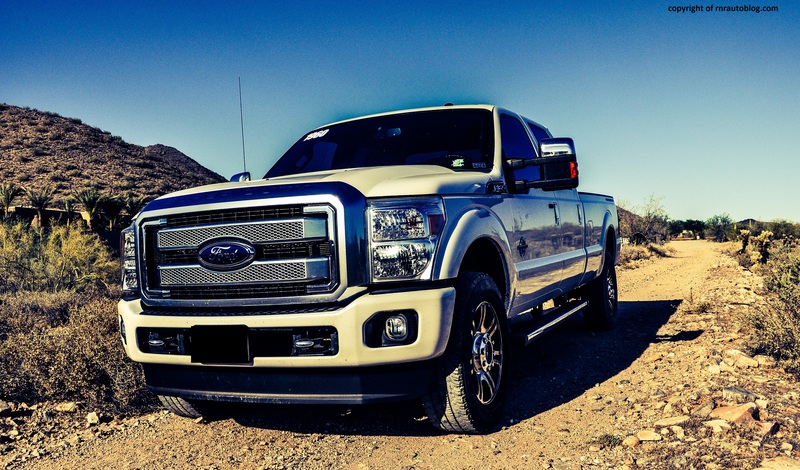 While I did get to review a 2010 Ford F-150 and liked it, I still prefer small cars. 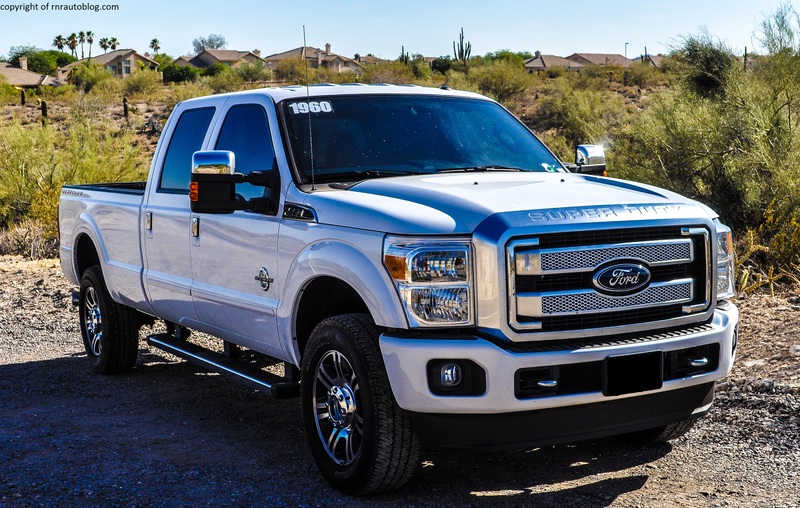 So imagine my surprise when I would get the chance not to review a F-150, but a Super Duty F-350. My findings are that it does well at what it is supposed to do. 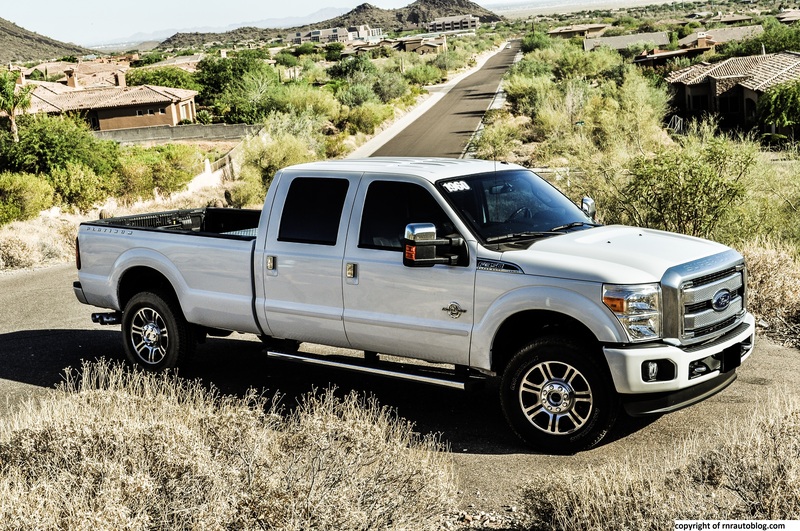 While the F-150 makes an attempt to handle more carlike, this F-350 makes no such claims. It certainly looks the part, and the diesel engine is a beast. I like to think that cars bring out a certain ego in one of us. When I pulled up to a F-150 in this, I had trouble trying not to smirk. Because after all, he’s in a F-150 and I am in a F-350. But that’s not the reason I like this car. You do actually feel like the king of the world in this, and in a degree of luxury may I add. 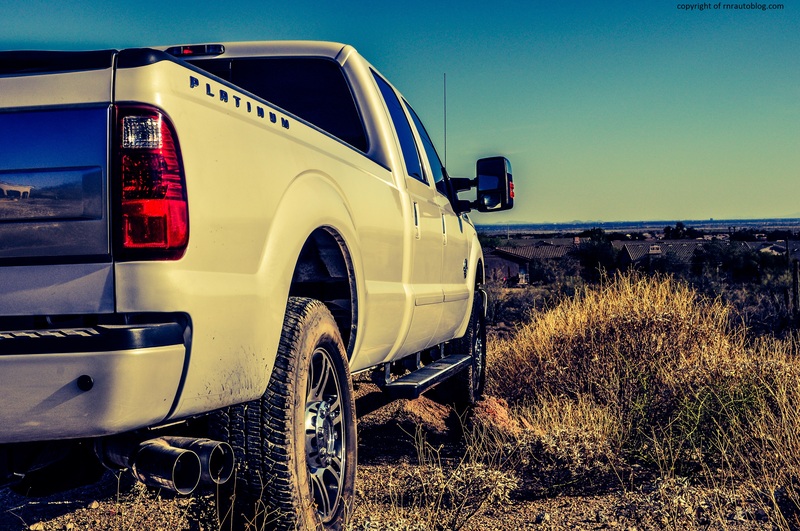 While the F-350 Platinum may not be my cup of tea, it is at least interesting. 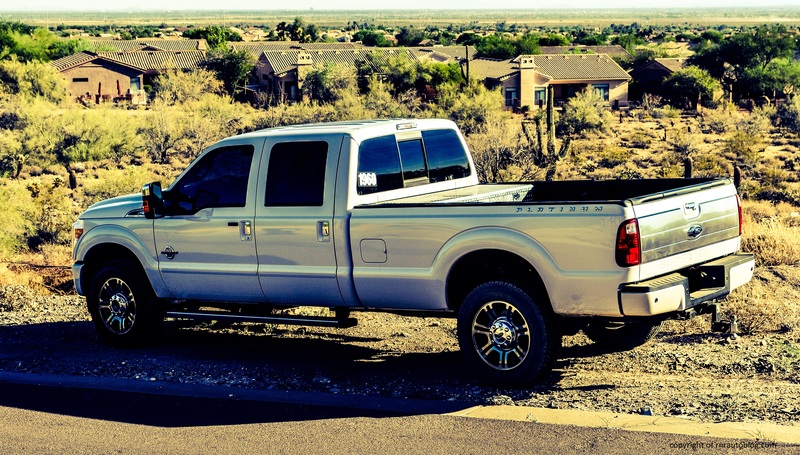 When I think about this truck, peaceful countryside driving and road trips come to mind. If that is not American, I don’t know what is.